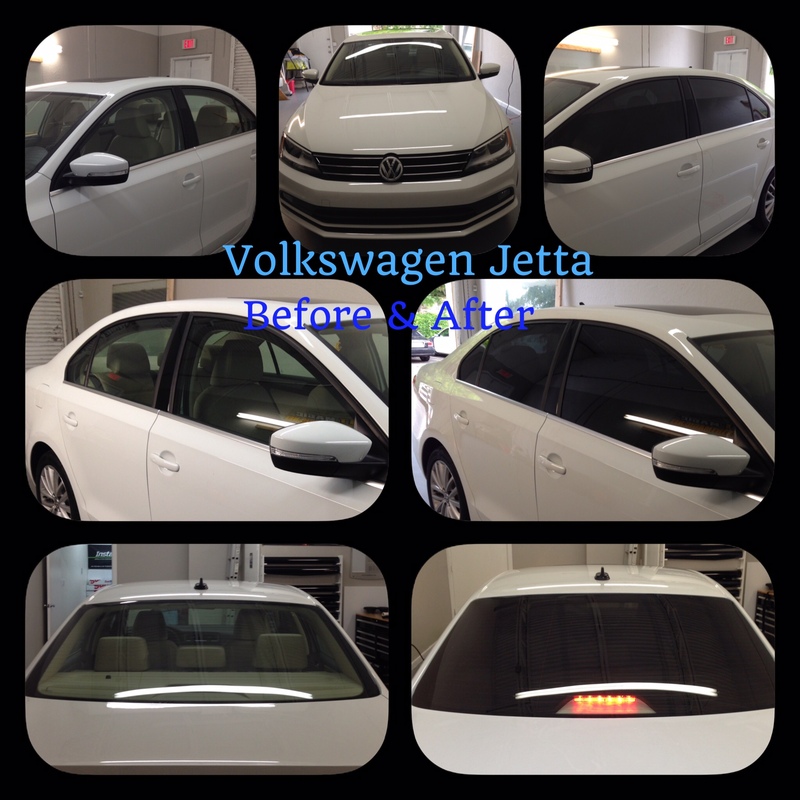 Volkswagen Jetta Window Tint at Tint Magic Window Tint Coral Springs. We have installed Carbon Film 18% all around, Lifetime Warranty and 43% solar energy rejection. Five years ago, when Volkswagen brought out the current Jetta, VW miscalculated. It offered the strong-selling compact sedan in essentially two versions: Entry-level models were fitted with naturally aspirated engines, an inexpensive beam-axle rear suspension, and a basic electronic architecture. Only upmarket models like the GLI received the European-market multilink rear suspension, turbocharged engines, and more sophisticated electronics. Riding on the four-wheel independent suspension originally reserved for the GLI, the Jetta is unfazed by uneven road surfaces, and body movements are well controlled. The electric power steering is precise and direct, and the crispness and agility of this compact sedan easily exceed the standards of its class.